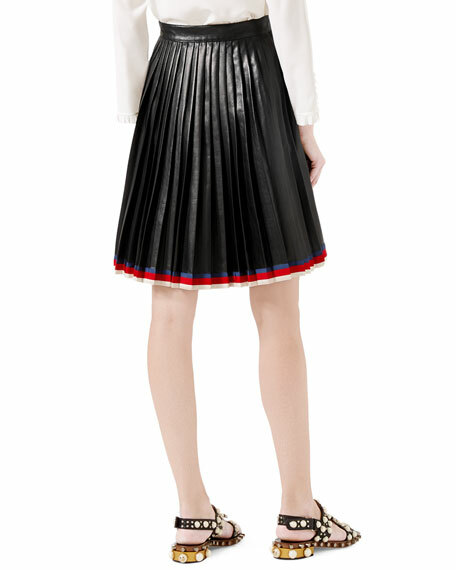 Gucci pleated napa leather skirt with Sylvie web trim. Sits high on the waist. For in-store inquiries, use sku #1987749.